Fabulous Ayisha jewellery set consists of a multichain necklace and the earrings. 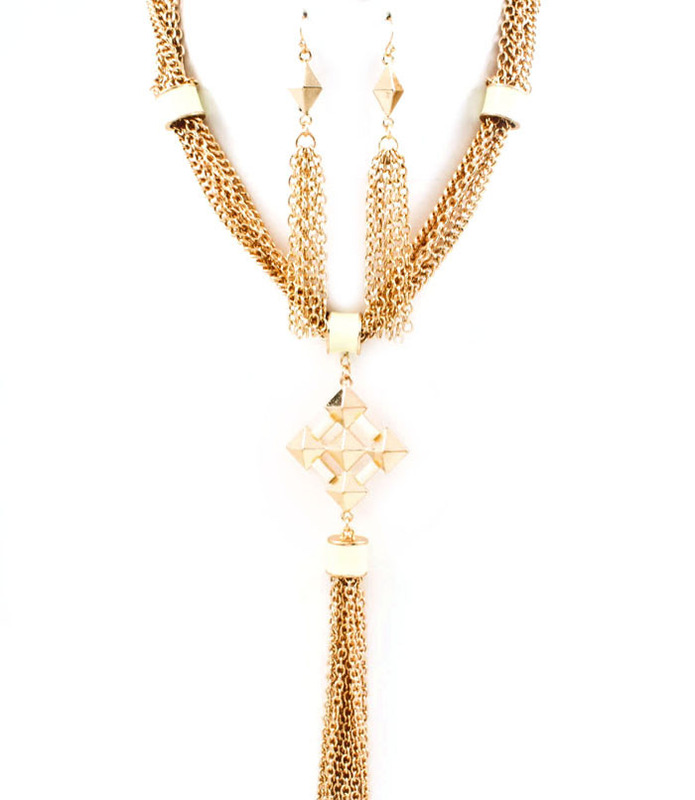 The necklace features delicate chains with smooth gold details on both sides and in the center. Cross pendant with a tassel. Long pendant earrings. Add this fashionable statement necklace to your new season's jewellery collection today.